This article is focused upon guiding users through the core elements associated with creating more complex board designs. If you just need help with getting started, try one of our introductory articles first. 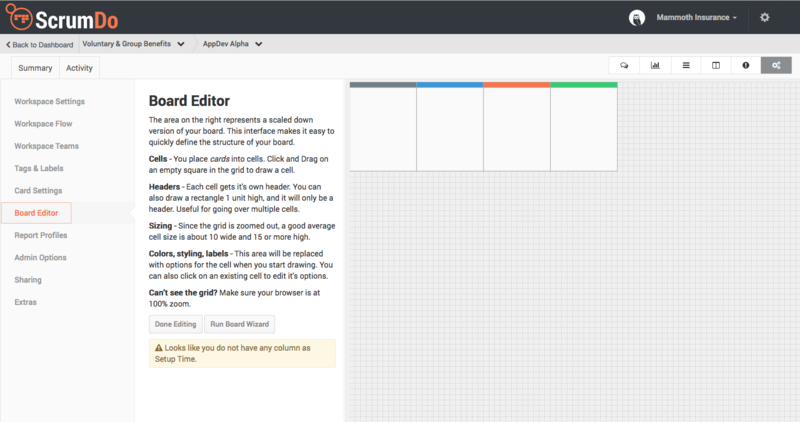 Board - A visual representation of the workflow in your project / workspace. Made up of Cells and Headers. Cell - Containers representing specific work states or dominant phases of activity. Every cell has a built-in header at the top. Header - Stand-alone headers are used to visually group different cells. Headers don't hold cards, and also don't automatically define logical groupings for metric or reporting purposes. 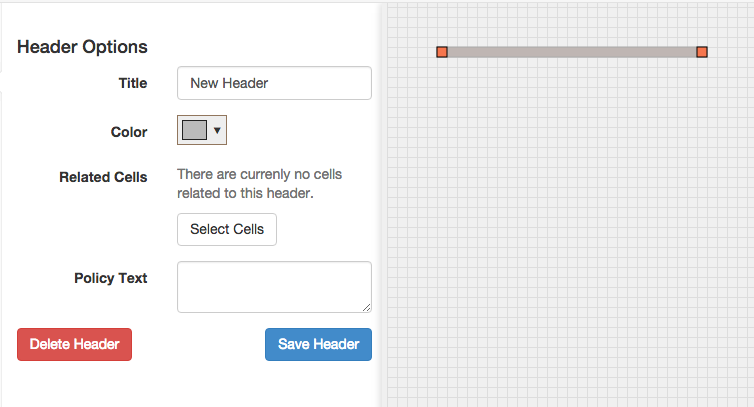 Click and drag on the empty grid to create a new cell. A good rule-of-thumb for sizing a new cell is to make it at least 10 grid squares wide and 15 squares high. Every cell automatically gets it’s own header (which will occupy the top row of grid squares). Once your cell is created, it's now possible to set its specific properties in the left hand panel. See the next section for details. CAUTION: When creating multiple cells, make sure your cells or headers don’t overlap. 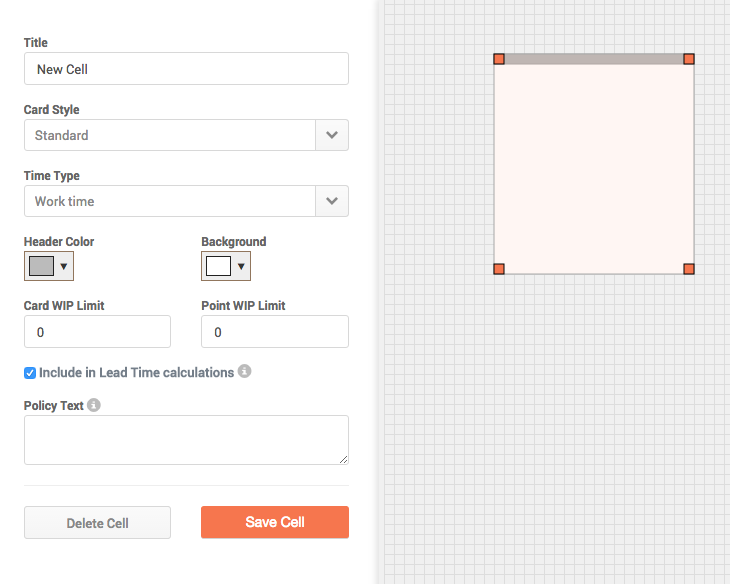 You can edit the properties of a cell immediately after creating it, or by clicking on an existing cell in the design grid. When you do this, a panel on the left hand side of the grid will open with properties you can set. Card Style - When cards are dragged into the cell, how should they look?Standard: The most common style (displays the most information). List: A smaller style, ideal for cells that are likely to hold many cards. 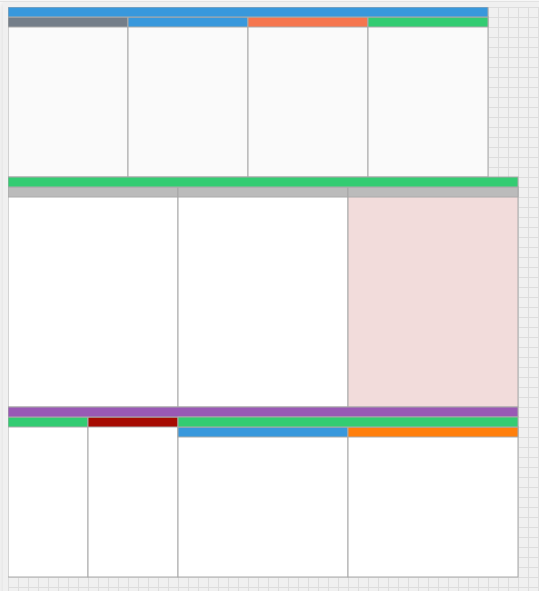 For example, cells intended to hold an iteration backlog or "done" work. 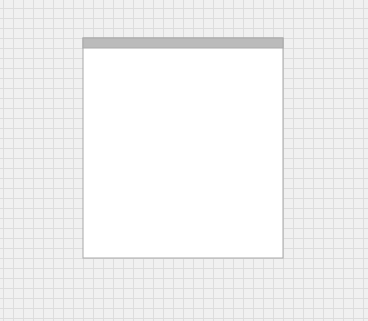 Tasks: A a mini-grid view of tasks contained within a card. You should size these cells much wider than normal. Team Assignment: Available only on Value Stream boards, these allow you to assign a card to multiple project teams. Wait Time: There is no work activity taking place when the card is in this state. Setup Time: The activity being performed in this state is preperatory to actual work being done. Work Time: Normal work activities. Done Time: All work represented by the card is complete. Header Color - The visual color of the background of the header. Background - The visual color of the background of the main part of the cell. Card WIP Limit - A Work In Progress limit for the number of cards in the cell. This limit will be displayed in the header along with a count of how many cards are actually in it. Point WIP Limit - A Work In Progress limit for the sum of all story points on cards in the cell. This limit will be displayed in the header along with the current sum. Include in Lead Time calculations - Check this box if time cards spend in this cell should be included in calculations reflected in reports and graphs such as the Lead Time Histogram (a fundamental performance metric). Policy Text - Places a small “?” icon in the header. When users mouse over this icon the text you enter here will be displayed. Typically used to define entry or exit criteria for that cell. 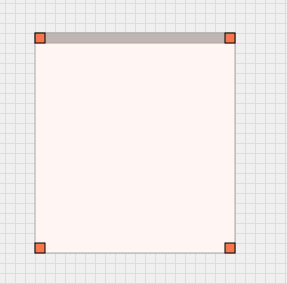 You create a header just like creating a cell, except only draw a rectangle a single grid square high. Just like cells, you can edit the properties of a header immediately after creating one, or by clicking on an existing header. Related Cells - You can select several cells that are related to this header. When you do this, you can set an combined WIP limit for all of those cells. WIP Type - Only appears if you have related cells - whether the WIP limit refers to number of cards or the sum of points. Policy Text - Places a small “?” icon in the header, when moused over this text will be displayed. This is where you can place your entry or exit criteria for the group. Click the cell or header. You will now see resize-handles at the corners that you can drag to change the size. If you drag from the center of the cell or header, you will move it. As mentioned before, it’s important to make sure cells or headers don’t overlap (being right next to each other is fine). As you can see, you can visualize just about any board you can imagine using this system. Some of our users have dozens of swim-lanes with hundreds of cells spread across boards that model complex workflows. That said, visual board design is as much science as it is art. When you're ready to leverage the data and insights that can be gained from effective system design, we invite you to reach out to our expert Lean-Agile coaches for guidance.